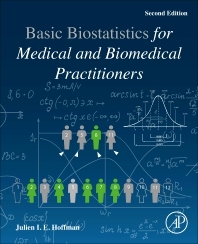 Basic Biostatistics for Medical and Biomedical Practitioners, Second Edition makes it easier to plan experiments, with an emphasis on sample size. It also shows what choices are available when simple tests are unsuitable and offers investigators an overview of how the kinds of complex tests that they won't do on their own work. The second edition presents a new, revised and enhanced version of the chapters, taking into consideration new developments and tools available, discussing topics, such as the basic aspects of statistics, continuous distributions, hypothesis testing, discrete distributions, probability in epidemiology and medical diagnosis, comparing means, regression and correlation. This book is a valuable source for students and researchers looking to expand or refresh their understanding of statistics as it applies to the biomedical and research fields. Based on the author’s 40+ years of teaching statistics to medical fellows and biomedical researchers across a wide range of fields, it is a valuable source for researchers who need to understand more about biostatistics to apply it to their work. Julien I E Hoffman, M.D., F.R.C.P (London) was born and educated in Salisbury (now Harare) in Southern Rhodesia (now Zimbabwe). He received a Bsc (Hons) in 1945 from the University of the Witwatersrand in South Africa, and his M.B., B.Ch. degree there in 1949. After working in the Departments of Medicine in Johannesburg General Hospital and in the Central Middlesex Hospital in London, he worked for the Medical Research Council at the Royal Postgraduate School in Hammersmith, London. Then he spent two years training in Pediatric Cardiogy at Boston Children’s Hospital, followed by 15 months as a Fellow at the Cardiovascular Research Institute (CVRI) at the University of California in San Francisco (UCSF). In 1962 he joined the faculty of the Albert Einstein College of Medicine in New York, and moved in 1966 to UCSF as Associate Professor of Pediatrics and member of the CVRI. He spent 50% of his time in the care of children with heart disease and 50% of his time doing research into the pathophysiology of the coronary circulation. His interest in Statistics began while taking his Science degree. In England, he took a short course run by Bradford Hill. On returning to Johannesburg he was assigned to statistical analyses for other members of the Department of Medicine. Learning was by trial and error, helped by Dr J Kerrich, head of the University’s Statistics Department. Hoffman began teaching statistics to Medical students in 1964, and in San Francisco conducted an approved course for Fellows and Residents for over 30 years. He was a member of the Biostatistics group for approving and coordinating statistics at UCSF. For many years he was a statistical consultant for the journal Circulation Research, and was intermittently statistical consultant to several other medical journals.